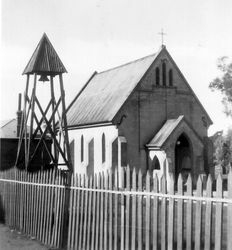 The bell and belfry was erected in 1918 by the parishioners to commemorate those who died in service or were killed in action in World War One. 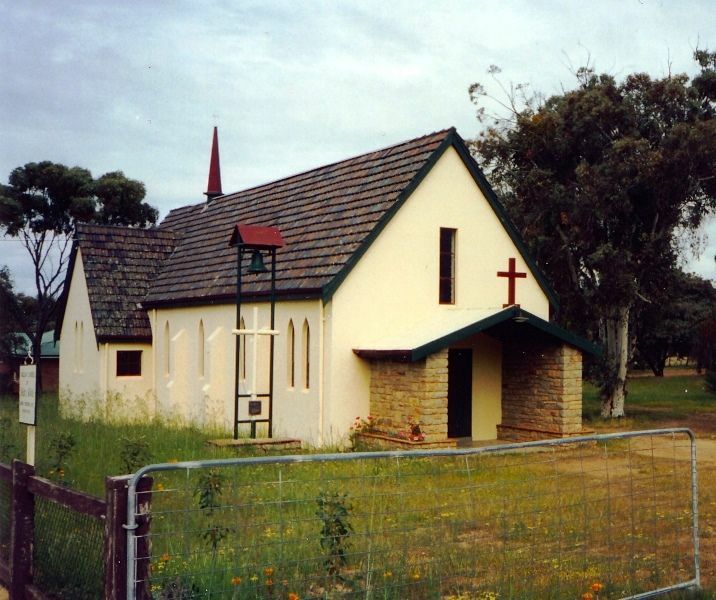 The Church in the Diocese of Bunbury was consecrated by Bishop Riley of Perth on the 19th of February 1902, and the wooden belfry was dedicated by Bishop Wilson on the 17 of April 1918. 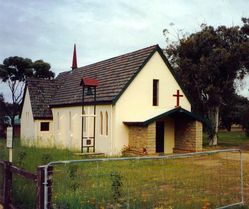 The enlarged Church of St. Luke and St. Paul was consecrated by Bishop Hawkins of Bunbury on the 9th of August 1959, and the wooden belfry was replaced by a metal one and a plaque added.